A romantic trip to Indonesia for former Chances star Jeremy Sims and A Country Practice star Kym Wilson (pictured) took a different turn when it was found that Wilson’s passport was not valid for the minimum six months required to enter the country. 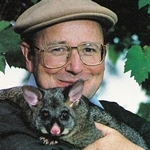 “We weren’t too stressed until we had a meeting with an official,” Wilson told TV Week. “As lovely as I found the Indonesian people, who were beautiful, always smiling and friendly, this official wasn’t. He kept saying, ‘No, no! You go home, you go straight home!’. When he stamped by passport to leave the country in five days, I was distraught.” Wilson later was informed from the Australian Embassy that she could obtain a new passport but would have to fly to Singapore to then come back into Indonesia. “Coming back through Immigration, I was polite and chummy and tried to say hello in Indonesian. An officer stamped my new passport and I was fine,” she said. The pair then continued their trip in Indonesia before Wilson had to return home to resume filming for A Country Practice, while Sims went on to travel to Malaysia and Thailand. “It will have more lights, whistles and bells and it will go faster.” That’s how new Tonight Live executive producer David Wilson says the show will be when it begins its fourth season this week. “It will be the wackiest it has ever been,” he said. “We will be doing the unpredictable and we will be more dangerous.” Despite rumours to the contrary, Steve Vizard will continue to host the show four nights a week, with Richard Stubbs hosting on Fridays. Newsreader Jennifer Keyte is now out of the show, and musical director Paul Grabowsky has been replaced by Sam See with the band The Feelers. Lisa Hensley (pictured), best known from the award-winning mini-series Brides Of Christ, is the favourite for the lead female role in the Nine Network‘s new 13-part series Law Of The Land. Hensley is tipped to star opposite David Roberts in the series which follows the story of a city lawyer’s transition to a small town magistrate. Also tipped for a role in the series is Debbie Byrne. Former E Street star Toni Pearen has had to put her music career on hold due to scoring a role in the stage musical Return To The Forbidden Planet. The release of her second single, I Want You, has been postponed while Pearen stars in the musical’s Brisbane season. “Theatre is something I’ve never done before. It was too good an opportunity to pass up,” she told TV Week. Former Ten Eyewitness News presenter Brigitte Duclos admits she’s going against the tide by leaving TV behind, after seven years at ATV10, for a job in radio. “Most of them are busting to get into television,” she said. “But with me it came down to a choice, radio is what I enjoy doing most. I get to do things here. 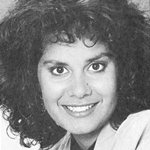 In television, they do everything for you.” Duclos is now part of the Richard Stubbs Breakfast Show on Melbourne radio station Triple M.
ABC‘s new Darwin newsreader Barbara McCarthy (pictured) holds the distinction of being Australia’s first female Aboriginal news presenter. McCarthy was appointed to front the main ABC News bulletin in Darwin after a trial run reading the late news for ABC in Sydney. Popular US shows Murphy Brown and Full House may not be back on Aussie screens when the new ratings season begins next month — thanks to a row erupting between Seven and Nine and their US distributor. Their deals with US distributors Warners have expired and heated discussions continue as the Aussie networks try to bring prices down. Nine is optimistic that the situation can be sorted soon, but Seven is planning their advance schedule without Full House. Peter Meakin, Nine‘s director of news and current affairs, says there is currently a short list of around six or eight candidates to replace departing 60 Minutes reporter Jennifer Byrne. Nine news presenters Gina Boon and Tracy Grimshaw are believed to be hot favourites. Sunday: Seven’s morning sports program Sportsworld returns for the new year, followed by the finals of the Ford Australian Open from Flinders Park, Melbourne. Seven launches it new magazine show Talk To The Animals, hosted by Dr Harry Cooper (pictured) with reporters Pamela Graham, Richard Fitzgerald, Kelly Pummeroy and Mike Lester. Sunday night movies are Back To The Beach (Seven), Twilight Zone — The Movie (Nine) and Problem Child (Ten). Monday: ABC has live coverage of XXVII Superbowl (10.00am) from the Rose Bowl in Pasadena, California. Seven’s morning news program Eleven AM returns for the new year. Bert Newton‘s mid-morning talk show, formerly known as The Morning Show, is back under the new title Good Morning Australia (9.00am, Ten). Tonight Live (10.25pm, Seven) returns for the new year. Tuesday: Exercise program Aerobics Oz Style (10am) makes its debut on Seven after previously appearing on Ten. In Neighbours (6.30pm, Ten), Lou (Tom Oliver) is stunned by Annalise’s (Kimberley Davies) proposal. ABC has a repeat screening of the previous day’s XXVII Superbowl (11.00pm). Wednesday: Seven begins a repeat screening of mini-series Jackaroo, starring Annie Jones and David McCubbin. Thursday: Hard Copy (9.30pm, Ten) includes the story of a murder-suicide that stunned the quiet Queensland town of Atherton. Friday: Seven debuts its new travel series The Great Outdoors, featuring Penny Cook, Ernie Dingo, Sofie Formica, Rex Hunt, Jack Absalom, Ted Egan, Neil Crompton, Bridget Adams and Sharon Tyrrell. Ten presents a delayed telecast of the 50th Annual Golden Globe Awards, from the Beverly Hills Hilton Hotel, hosted by Jane Seymour, Louis Gossett Jnr and Leslie Nielsen. Saturday: In the series return of Beyond 2000 (7.30pm, Seven), Tracey Curro tackles the problem of weightlessness during a space flight, while Bryan Smith goes upside-down in the name of science. Late night sport includes rugby league (Seven’s International, 10.40pm, Nine) from Sydney and rugby union (Five Nations: Wales versus England, 1.00am, Ten) from Cardiff, Wales.